BRIGGS AND STRATTON. GENUINE OEM CRAFTSMAN RIDING MOWER MUFFLER. MODEL NUMBERS ARE USUALLY FOUND IN YOUR MANUAL OR UNDER THE SEAT OF YOUR MOWER. OHV SINGLE CYLINDER ENGINES. HORSE POWER,ENGINE LIFE AND MPG. Quality thick welds and no fitment issues whatsoever. Better quality and performance than the hard to find OEM. The straighter section of pipe without the extra bend increases flow yet the sound isn't any louder. Make sure to replace the gasket with the new muffler. Now my old Rally mower is back in action. replaced a 17 year old muffler with this one. The pipe is shaped different but bolts right up. Mower runs much better with this new one, a lot quitter, and seems to have more power. Well worth the cost. 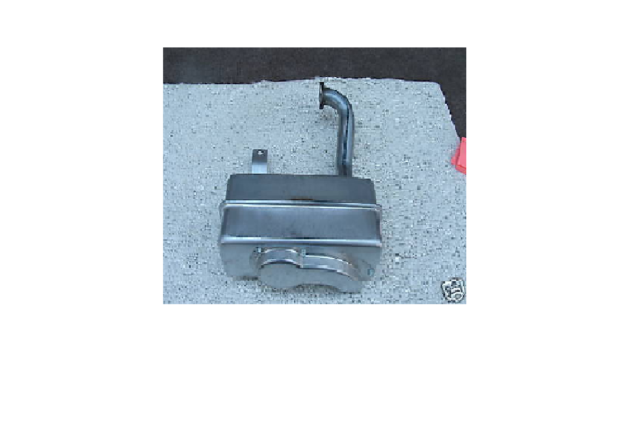 Great muffler, quieter, runs much smoother. I'll be buying from you again!! Replacement for rusted out muffler. Arrived fast and fit perfect, same as the original. Highly recommend!